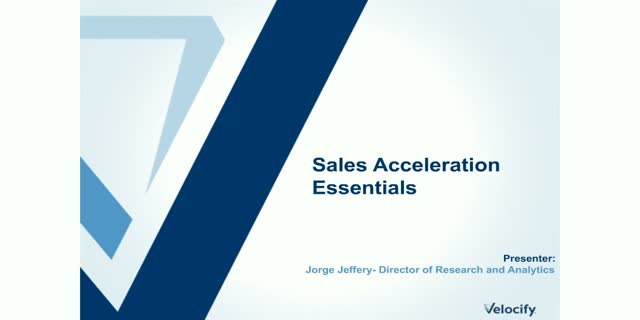 Velocify® is the leading sales acceleration platform. The company helps more than 1,500 sales teams sell more by bringing speed and control to the entire sales process. Velocify helps sales teams prospect with more precision, accelerate lead engagement, and implement optimized workflows, ultimately helping sales teams find and convert more leads. Sales acceleration is launching a burgeoning sales revolution. There are many tools and strategies out there that claim to shorten the sales cycle and make the sales process more efficient, but what’s at the core of sales acceleration? Effective communication and a prescriptive sales strategy are key to significant results. The “sharing economy,” with perhaps the best known example being Uber, is fundamentally changing the way the world works. Uber’s transformative business model brings down the cost of transportation and creates a better overall experience for consumers through better utilization of drivers to match consumer demand. The Uber business model is similar to the shift we are seeing in Inside Sales. Buyers want control and convenience whether they are looking for a ride to the airport or purchasing a software product for their business. Join in this discussion as we draw parallels to lessons that Inside Sales teams can leverage to better optimize their own sales processes to meet evolving buyer expectations. Sales has been targeting contacts at key accounts for decades. So why has account-based selling become the hottest trend to hit B2B sales? Some sales experts believe it is the need for sales and marketing to align around what matters – personally connecting with your buyers. Having a deeper understanding of your buyers goals and objectives and how your product or service can make a difference could help you win more sales.